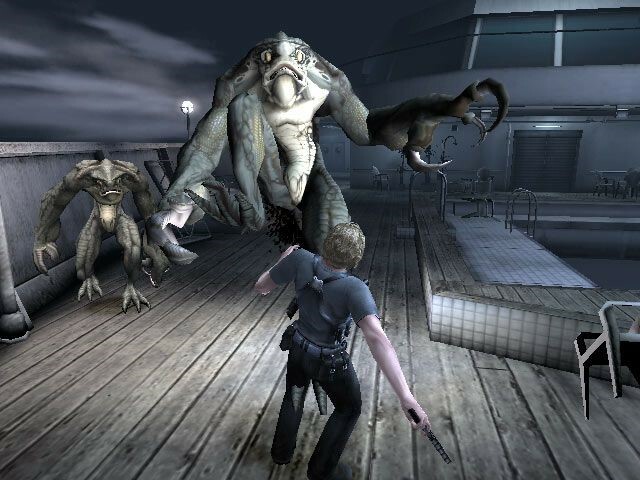 The main Resident Evil games may have been through plenty of changes since the series’ debut in 1996, but the numerous spin-offs have experimented with various styles too. We’ve seen first-person shooters and team-based adventures aplenty, featuring returning characters alongside new faces – but the spin-offs’ quality has been a mixed bag. That might even be a tad generous, to be honest, considering that the majority have failed to deliver a satisfactory Resident Evil experience (just like one or two of the main games themselves). 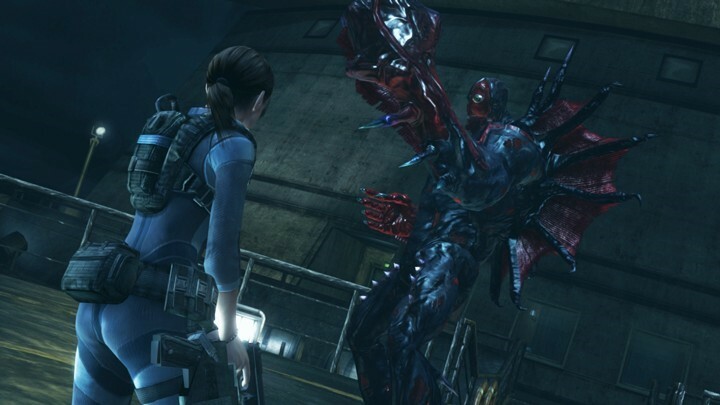 The first Resident Evil: Revelations game managed to reinstate some of the series’ classic horror and suspense, bringing fans a truer RE experience than they’d had in a while. It’s set aboard a cruise ship, which allows for some handy claustrophobic tight-corridors and an eerie sense of isolation, while the seriously-limited ammunition makes survival more of a challenge. 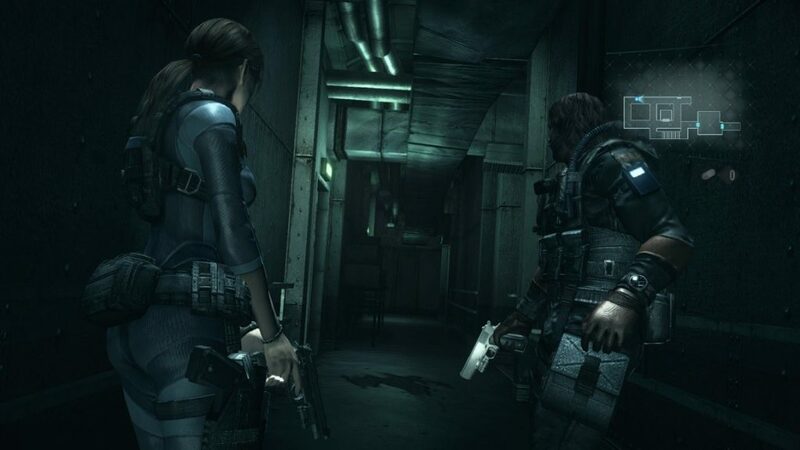 Perhaps best of all, Revelations sees series stalwarts Jill Valentine and Chris Redfield return to the field (or, in this case, the sea) – and it’s a joy to have them together again. The episodic single-player mode balances action and survival horror nicely, while the Raid mode sees you tear through augmented versions of the campaign’s chapters to unlock rewards. Resident Evil: Revelations 2 lets you play as Barry Burton. As in, Barry Burton of the infamous ‘you were almost a Jill sandwich’ and ‘the master of unlocking’ lines from the very first RE game. He’s a legendary figure in the franchise, and getting to step into his well-worn boots is a treat for fans. 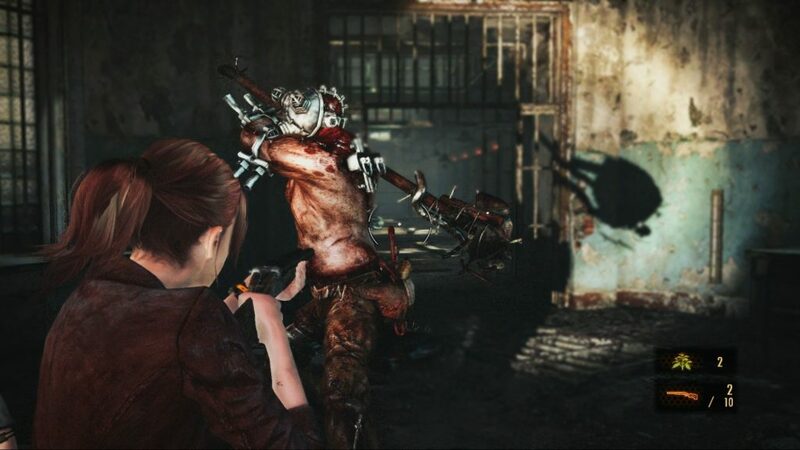 He’s not alone, either – Claire Redfield makes a grand comeback, as tough and likeable as ever. Revelations 2 takes place between Resident Evils 5 and 6, and sees Claire working with her (and Barry’s!) daughter, Moira, before they’re caught up in some nefarious shenanigans. The gameplay varies depending on the character you’re playing as, while the Raid mode returns with new elements. It’s a lot of fun, and continues the original game’s quest to put the tension back into the Resident Evil series. Dead Aim seems like it shouldn’t work at all, but it does. Mixing third-person exploration with first-person shooting was a bold departure for the franchise, and Resident Evil 4 clearly has some roots here. You play as one Bruce McGivern, your standard gun-toting manly-man, aboard a ship far out at sea. It’s not quite as tense or atmospheric as Revelations, but Dead Aim still manages to be an entertaining game for its brief completion time. 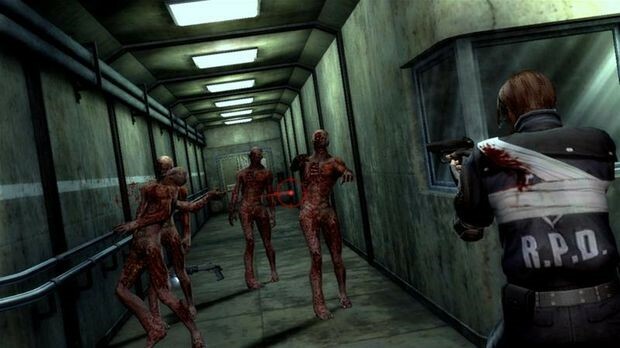 Shifting to a lightgun-style mode every time you want to attack an enemy does take a bit of getting used to, though it’s a decent middle ground between the likes of Gun Survivor and Resident Evil 4. 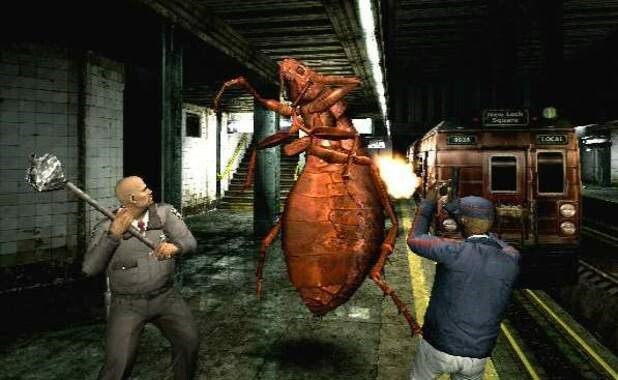 Outbreak was the first online Resident Evil game, allowing players to work alongside each other. There are eight different characters to play as, and a number of different scenarios spread throughout Raccoon City (including a hospital and university, where other games in the series have been). Outbreak’s online modes gave the freedom to customise their own games or dive into an automatically-generated one instead, but the servers have long since shut down (outside of Japan, at least). In single-player, your fellow characters’ AI is pretty weak and the limited inventory space make things trickier than they should be at times, but it still has some fun moments to offer. The idea of having multiple characters working together as a group to survive definitely has a place in the Resident Evil world, and it’d be interesting to see a similar approach taken with the new first-person, back-to-basics turn the main games have taken. The Darkside Chronicles is the sequel to The Umbrella Chronicles, both released on the Wii. This is an on-rails shooter that retells the events of Resident Evil 2 and RE: Code Veronica, following Leon Kennedy and the mighty Claire Redfield through a number of scenarios. Other well-known characters put in an appearance, including Chris Redfield and Sherry Birkin. This is the most polished of the various first-person Resident Evil games, and can be played in co-op or solo. Racking up headshots is grimly satisfying, and weapons can be customised with an impressive level of depth. Raccoon City looks fantastic, dropping you right back into the chaotic horror of Resident Evil 2, and seeing your partner taking down zombies alongside you is a blast. It’s far from perfect, but it’s worth playing for fans and makes great use of the Wii’s controls. What’s your favourite Resident Evil spin-off game, and why? Is it Revelations 2, The Darkside Chronicles, or something else? Let us know!